Pima's Dance program presents two innovative productions each season featuring faculty and student choreographed pieces. Contact the box office 520-206-6986 or centerforthearts@pima.edu for additional information. Download a Pima Arts 2018-19 season calendar. Buy tickets online. A school matinee performance is available for school groups Dec. 7 at 10 a.m. Advance reservations only. Call 520-206-6986. Under the direction of Nolan Kubota. 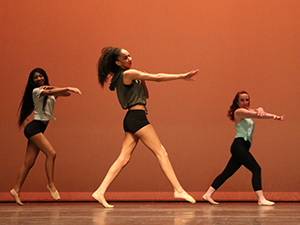 The dynamic and innovative concert features dance faculty and student choreographed pieces highlighting diverse choreographic elements, including hip-hop, jazz, modern/contemporary and ballet styles. Under the direction of Nolan Kubota. 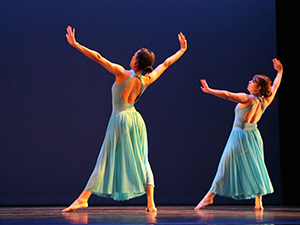 The performance melds various dance styles together in a melting pot of dance movements from classical to contemporary styles; intermingling ballet, modern, jazz and more! A vibrant blend of physicality, musicality and passion is demonstrated with innovative choreography and contrasting music. View the Center for the Arts now-playing page or events calendar.